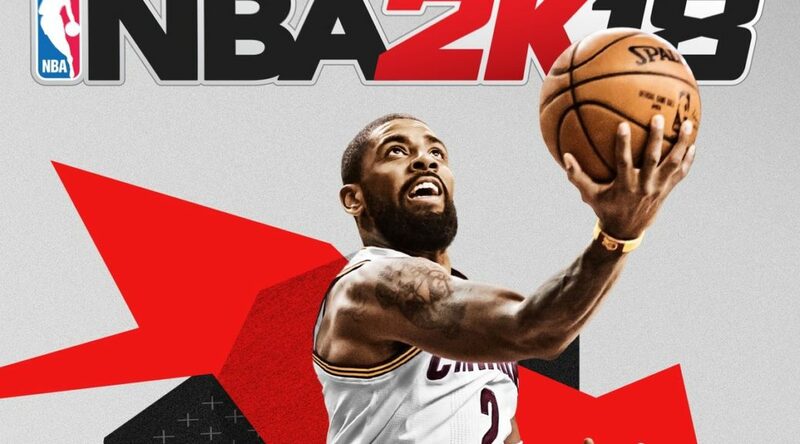 NBA 2K18’s 1.07 Update, which launched sometime back in January removed a key feature baked into all Switch consoles, the screenshot feature. 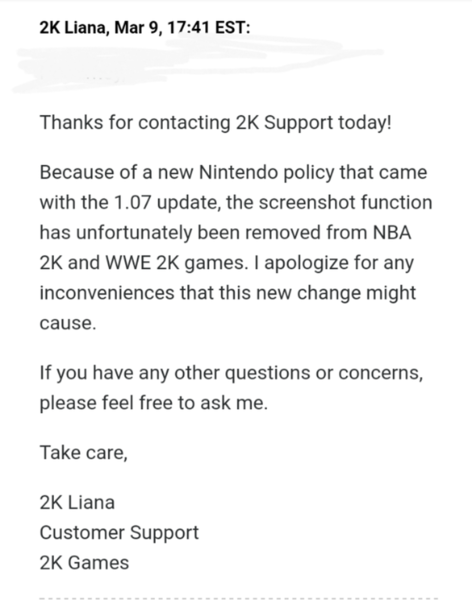 While 2K explained that this is due to a new Nintendo Policy that came with the update, the support team did not specify which policy it was that the game was violating. In any case, this would not be the first time a 2K game has removed the screenshot feature. 2K’s WWE also lacked the screenshot feature, and even in NBA 2K13 on the Wii U, players are not allowed to share photos of the game on Miiverse.